Virginia Wesleyan University's Greer Environmental Sciences Center (GESC) earned LEED Gold Certification from the U.S. Green Building Council (USGBC) this month. 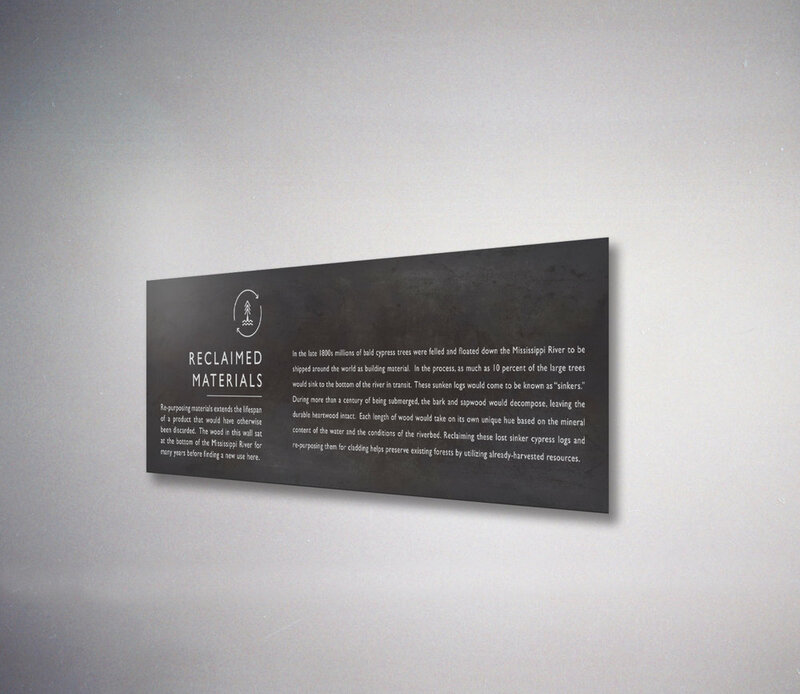 Dedicated to establishing the Greer Environmental Sciences Center as an interactive tool for conservation, Iconograph worked with Virginia Wesleyan University and VMDO Architects’ higher education studio to create signage, wayfinding and educational exhibits within the new building. Sophisticated blackened steel signage with etched and paint filled illustrations, content, and icons are integrated throughout the building architecture to render the sustainable features of the building as teachable moments. 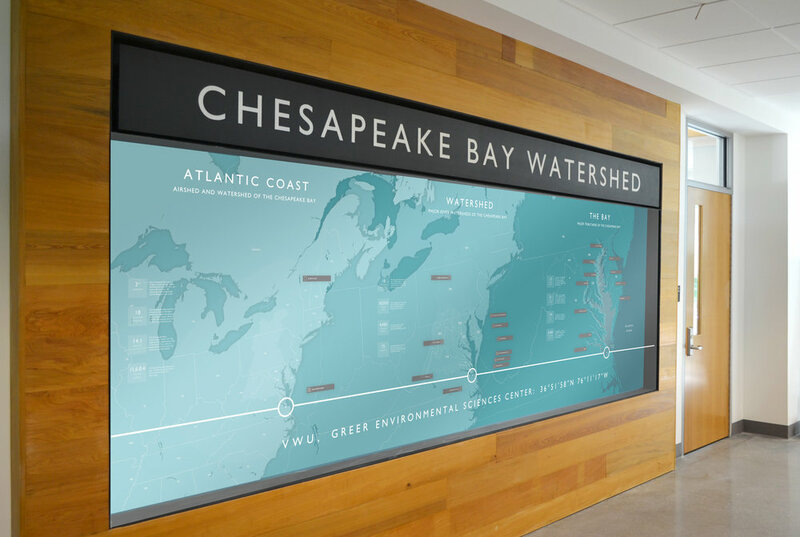 To further connect students to their local natural resources an exhibit was created that highlights the impact of the Chesapeake Bay and its watershed from a coastal, regional, and local scale. The minimalistic educational signage extends into the landscape to connect students and visitors to the unique planting zones constructed to support flora and fauna of the university’s floodplain location.